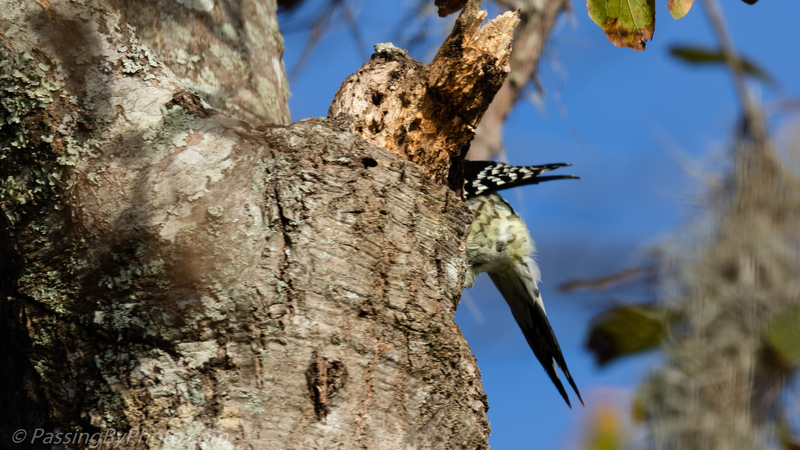 Yellow-bellied Sapsuckers are named for their behavior of drilling small holes in trees then drinking the sap that runs into the wells. 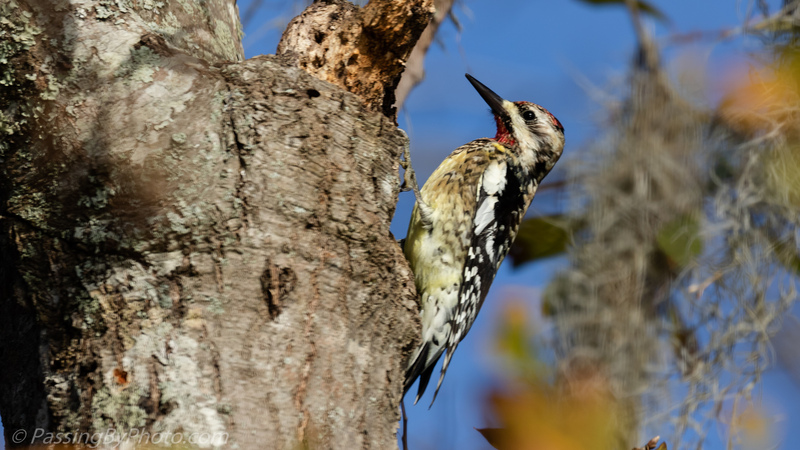 They get most of their food that way but also feed on insects they find under tree bark. I’ve seen them peck at bark, mostly on the rough-barked trees and was surprised to see this one bobbing into a tree cavity. He was just about disappearing from my view as he reached in. 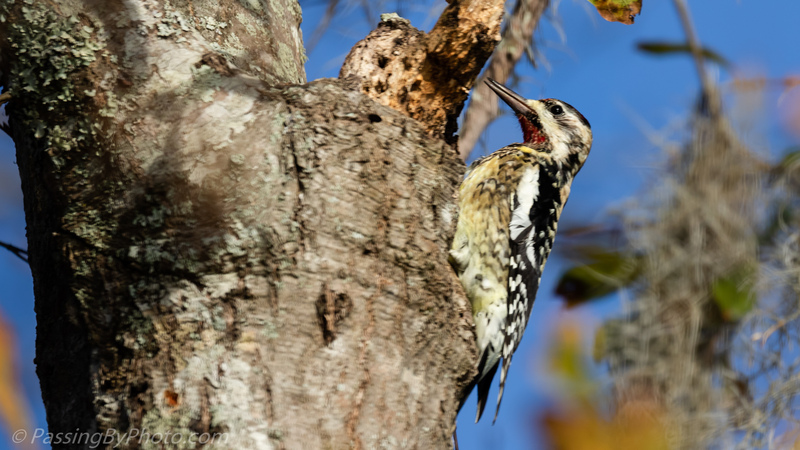 I didn’t see what, if anything, the Sapsucker was finding, but he kept at it for longer than I watched.